It's time to brush up on our Helicopter Operations around Sydney. 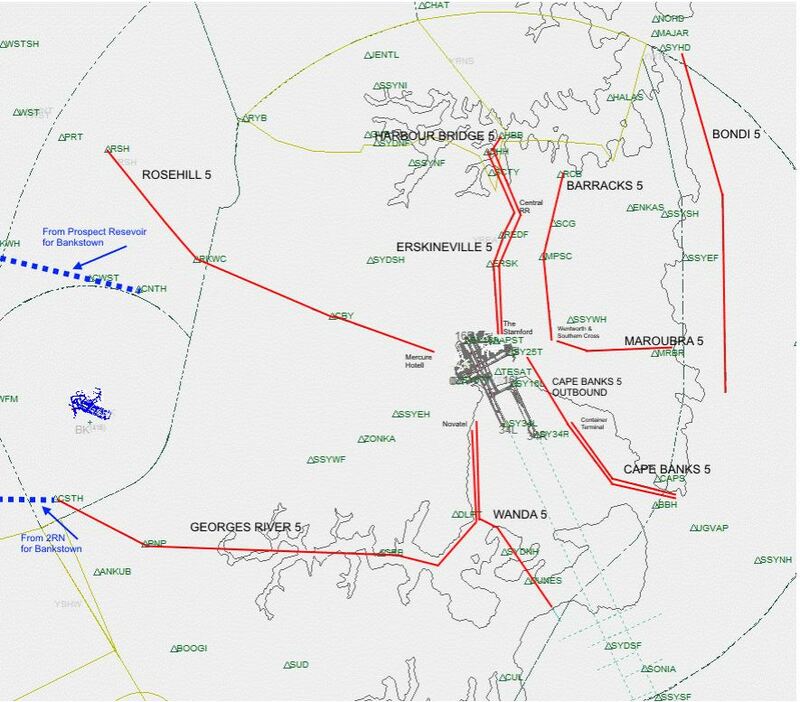 Pilots see the Sydney ERSA (https://www.airservicesaustralia.com/aip/current/ersa/FAC_YSSY_16AUG2018.pdf ) especially from Pages 11 to 19 inclusive. Or Bankstown ERSA https://www.airservicesaustralia.com/aip/current/ersa/FAC_YSBK_16AUG2018.pdf pages 4 through 7 inclusive. Fly a practice ILS approach at Sydney Airport (IFR clearance required, even in a Cessna) - perhaps with an IFR departure from Bankstown in a piston single! or pick up IFR in the air! Why not try the Barracks 5, Maroubra 5, Cape Banks 5, Wanda 5, Georges River 5, Rosehill 5, Erskineville 5 or the Harbour Bridge 5 routes in a Helicopter? Land at Rosehill Racecourse, Transition from the Georges River 5 to Choppers South or return. Try the Wanda 5 to enter the Victor 1 northbound. Maybe the Barracks 5 on your way to Sydney Heads to transition onto the Bondi 5 southbound? Or hit Erskineville 5 for a landing at Star City Casino and Darling Harbour, or mix it with the traffic orbiting east of the Sydney Harbour Bridge for a close-up view of Sydney's famous Opera House. We will endeavour to have ML-WOL_CTR open for some runs between YSCB (or other nearby CTAF's such as Wagga, Albury or Newcastle) and YSSY. Remember, you can always go around. For the adventurous, why not try a touch and go at YSBK? One million helicopters try to depart out of YRPA at the same time.